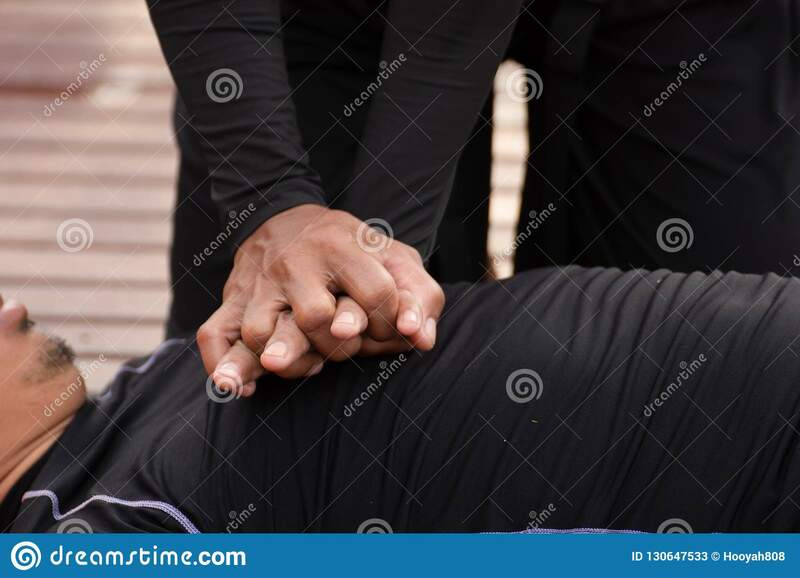 (RxWiki News) Cardiopulmonary resuscitation (CPR) is a procedure done when the heart stops pumping blood. It can be a lifesaver. That's because it helps keep blood flowing and therefore can extend the window for successful revival when medical help arrives. In fact, starting CPR right away can double or triple the chance of survival after cardiac arrest. Cardiac arrest can happen at any time and in any place. That means the need for CPR can pop up anywhere — whether it’s at home, at work or at the park. Recognizing signs of cardiac danger is important in knowing when CPR is necessary. Symptoms include sudden collapse, not breathing, loss of consciousness, no pulse and/or becoming unresponsive. In any instance, call 911 quickly. If possible, send another person to call 911 while you tend to the person who is experiencing cardiac arrest. Health care providers and trained individuals use conventional CPR. This involves alternating chest compressions and mouth-to-mouth breaths. It is done in a ratio of 30 compressions to two breaths. Rescuers are advised to do compressions at 100 to 120 compressions per minute. The compressions should be at least two inches deep for a normal adult. 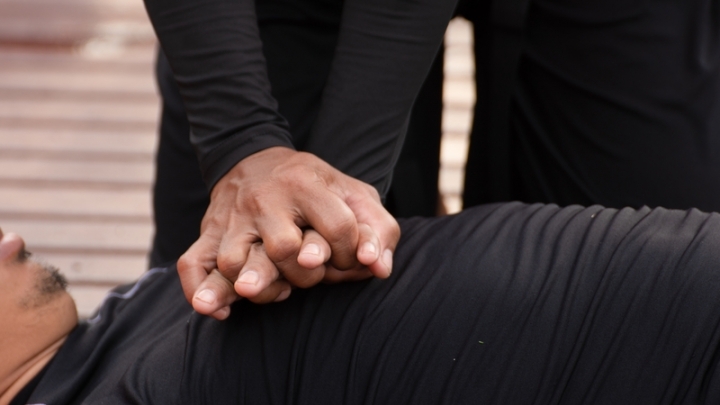 Members of the general public and bystanders should use hands-only CPR. This is similar to conventional CPR but without mouth-to-mouth breathing. Your hands should push hard and fast in the center of the chest. Allow minimal interruptions in chest compressions. Give compressions with good rate and depth. Do not lean on the person between compressions. Automated external defibrillators (AEDs) can also maximize survival. AEDs are devices that deliver a shock to the heart, which can bring the heart back to a normal rhythm. These should only be used by those who have been trained. But awareness of AED locations at work is important because every second counts in these situations. A heart attack is a circulation issue. This happens when blood flow to the heart is blocked. The person may have shortness of breath or chest discomfort. But consciousness remains and the heart can still work. Cardiac arrest is an electrical issue. An irregular heartbeat causes the heart to pump improperly. This prevents the heart from pumping blood to the brain and lungs. This will lead to the person becoming unresponsive. And if the person does not receive treatment right away, death will occur. In this case, CPR is recommended. There is a link between the two types of health events: A heart attack is a common cause of cardiac arrest. In either case, 911 should be called quickly. Courses are available for those interested in CPR training. These include in-person teaching with a certified instructor. Passing the course will give you two years of CPR certification.